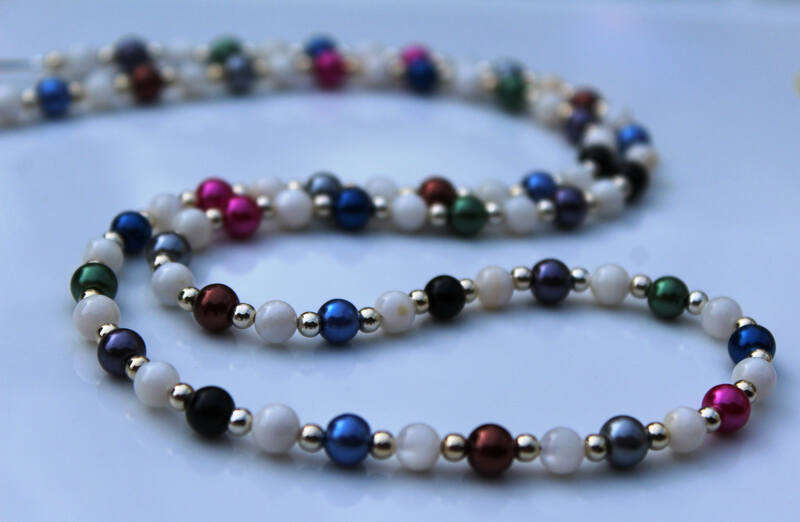 This is a beautifully sophisticated chain for glasses. 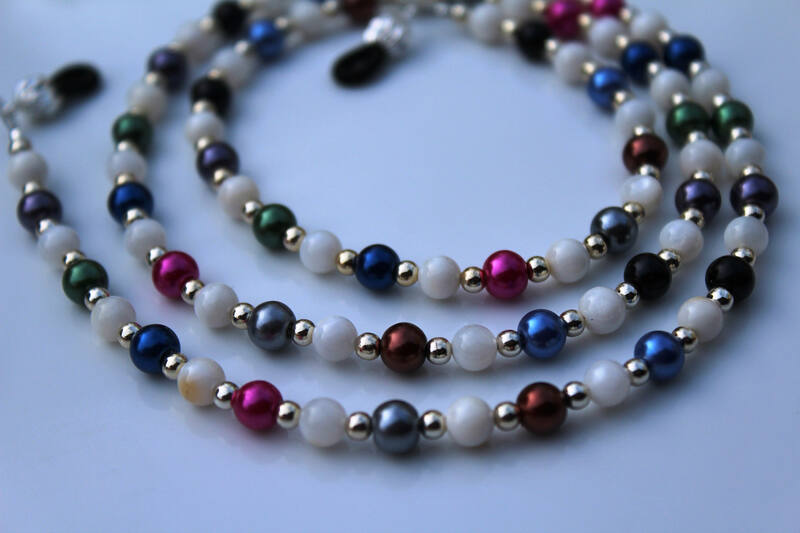 It is made with dark colored glass beads, yet appears bright overall, with the mother of pearl round beads that separate them. 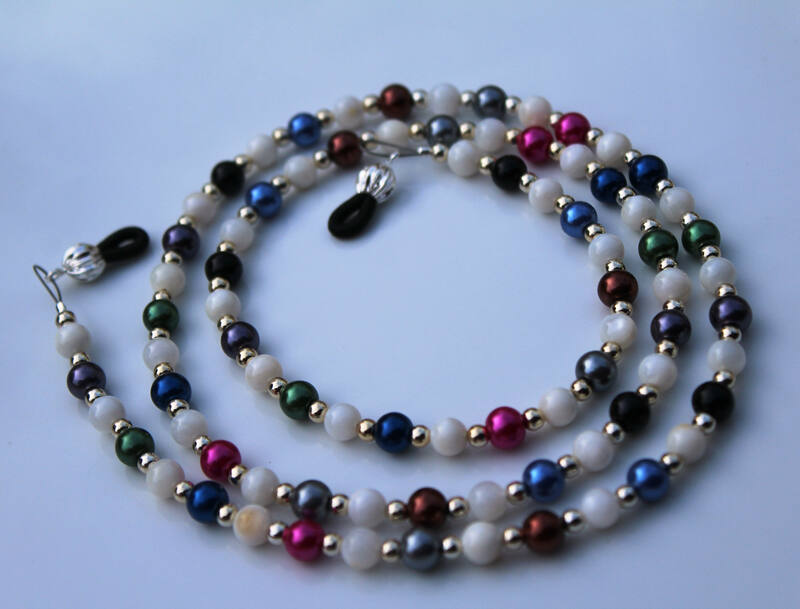 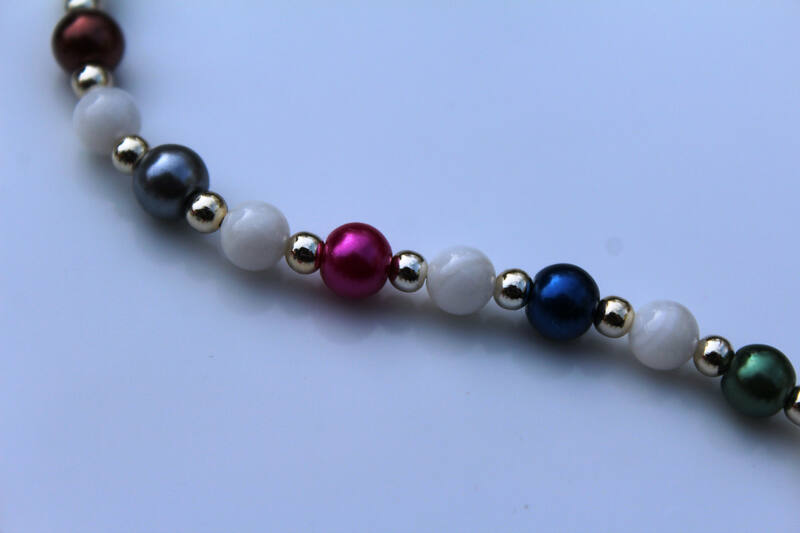 This is a unique eyeglass chain that would make a wonderful gift for that person you know who would benefit from having their glasses on hand at all times. The entire chain is approximately 30 inches long. 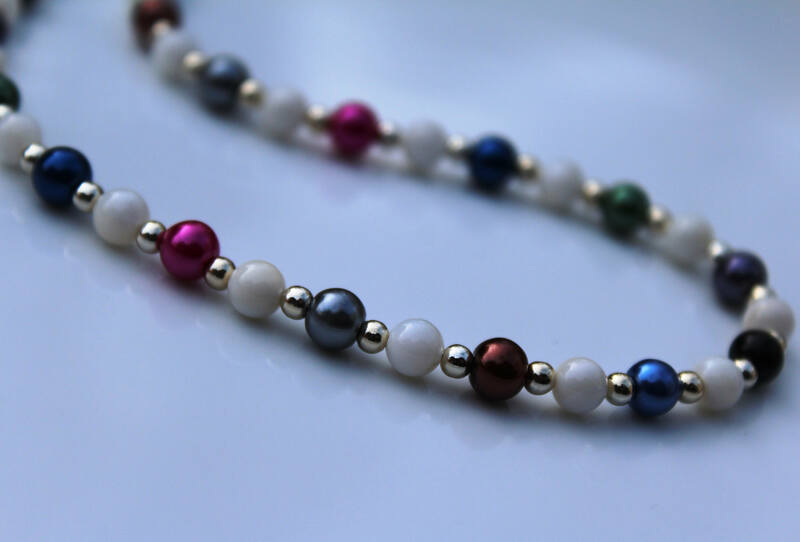 The colored glass beads are approximately 5mm.